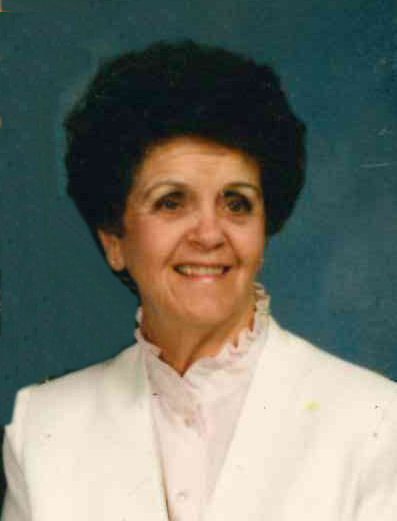 Canton – Hilda Reed Boydston Watts, 93, passed away on Tuesday, February 12, 2019 at Aston Park Health Care Center in Asheville. A native of Buncombe County, she was a daughter of the late Furman and Lydia Teems Reed. In addition to her parents, she was preceded in death by her first husband, Lloyd Boydston, who died in 1973; second husband, Herbert Watts, who died in 2015; a daughter, Jan Boydston Webb; and a grandson, Colby Pressley; two sisters, Hazel West and Helen Sohrweid; and one brother, John Harold Reed. Hilda was a Licensed Practical Nurse at St. Joseph Hospital for 25 years, a lifelong member of Ridgeway Baptist Church and a licensed cosmetologist. She is survived by one daughter, Debra Rogers (Kevin) of Canton; one son, Ronnie Boydston (Nancy) of Canton; four step-daughters, Mary Ann Thompson (Andy) of Eden, Marci Shelton (Ronnie) of Waynesville, Lynn Woolard (Hilliard) of Grifton, North Carolina, and Beth Conner of Canton; one sister, Annette Weemering of California; eight grandchildren; and nine great-grandchildren. Funeral services will be held at 3:00 p.m. on Saturday, February 16, 2019 at Ridgeway Baptist Church with the Reverend Jack W. Collins officiating. Burial will follow in the church cemetery. The family will receive friends from 1:30 until 3:00 p.m. prior to the service at the church. In lieu of flowers, memorials may be made to Ridgeway Baptist Church, 525 Old US/Hwy, Candler, NC 28715.